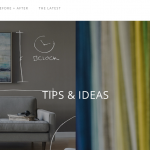 Whatever your personal style, there is a Christmas decorating theme and scheme for your taste and budget. 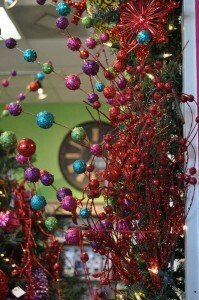 I’ve worked with all sorts of color schemes, and love the variety and endless combinations of holiday trims and decor. 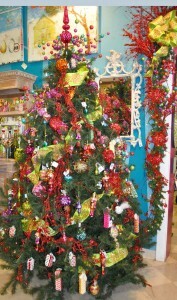 Jewel tones- red, pink, orange, gold, green, teal, and purple- are rich and exiting as a Christmas color scheme. 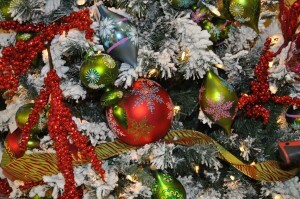 They blend beautifully with the classic colors of red and green. 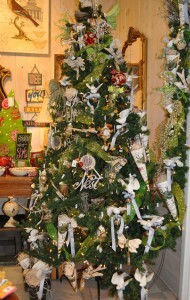 This birds theme tree is peaceful and ethereal. Accents of kiwi ribbon garland and a splash of red jazz it up a bit. 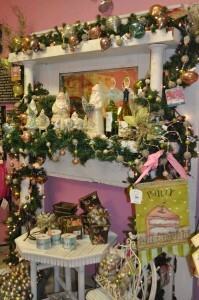 The pastels of this Santa scene and the richly loaded garland is a sweet and artsy interpretation Christmas magic! The deep pink wall color is the perfect backdrop for this display! 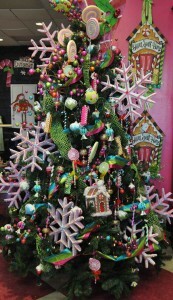 The gingerbread and and candy them tree remind me of all the confections that are created for the holidays. Pink snowflakes add a touch for the frosty season. Reminds me of the Nutcracker. I can hear the music now! Here’s a bit of an update on red and green with richly decorated glass ornaments in orangey red and kiwi. 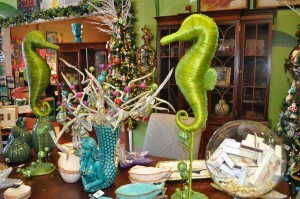 This beachy table top is a fun reminder of summer escapes, and great for those who love or live near the ocean. Your decorations don’t have to be Christmas specific to have a holiday feel. 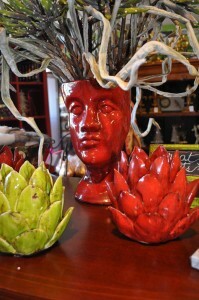 These colorful ceramics do the trick! 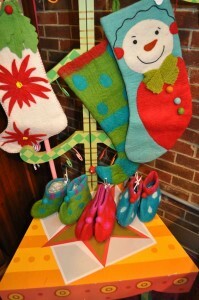 Stockings for stuffing with little feet-ies, or little treat-ies! Of course Christmas is all about the kids, whether young, or young at heart! The fun of the holidays is watching their innocence, joy and amazement. 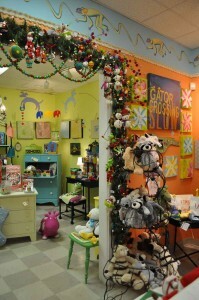 Toys and trim with references and reminders of Christmases past bring out the playfulness in all of us! 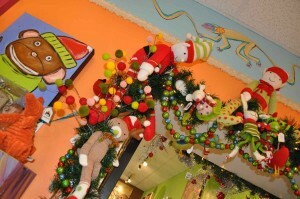 Thanks to “Tinkers” for the fun decorations and a walk through the land of Christmas fairytales. I don’t usually make up as many words as I have in this post. Tis the season of imagination, whether it’s correct English or not! A Place For Everything... the holidays!